Looks like Google is looking forward to close the deal by the end of this year. In case you are wondering what Yelp is. 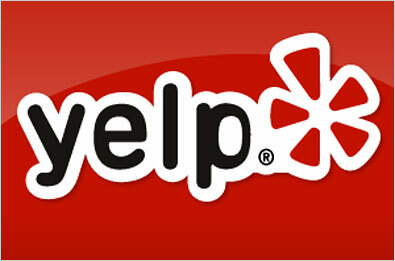 Yelp is a local search that also reviews all kinds of businesses from restaurants to spas, pretty much everything. Google is reportedly brokering a deal to buy local search and review property Yelp for $500 million.The Web site had 26 million visitors in the last 30 days through November. If Google can get Yelp, it will have a treasure trove of local information with which it can pair contextual mobile ads. If Google does bid for Yelp, it would be Google’s seventh of 2009, preceded by On2 Technologies, ReCaptcha, AdMob, Gizmo5, Teracent and AppJet, all since August. Yelp local search engine in Google's claws? With the end of 2009 drawing nigh, Google is reportedly brokering a deal to buy local search and review property Yelp for $500 million, a royal sum for a company that banked $31 million in funding and boasts a $30 million run rate. Google is no stranger to such premiums and set a serious precedent by offering $750 million for AdMob, which IDC said earned $40 million in mobile display ad sales in 2009.
elp provides reviews for local businesses, including restaurants, spas and pretty much any type of concern one might need to call on to aid them through the daily grind. The Web site had 26 million visitors in the last 30 days through November. “Yelpers,” as the site’s members are known, have composed more than 8 million reviews, representing a massive volume of opinion and ratings. Yelpers can also share information with fellow Yelpers, making the property a niche social network. Google wants this information to boost the data and services it already provides with its Local Business Center. Participating businesses list their phone numbers, hours of operation and other factoids with Google, which renders this info on Google Maps Place Pages, which include directions, reviews and other information pertinent to specific businesses. Yelp has been immensely successful providing similar info, but lacks Google’s massive Web presence. Google also recently unveiled its “Favorite Places on Google” initiative, which lets more than 100,000 business owners in its LBC place a window sticker with a bar code on their storefronts. Users walking by on the street can scan the QR code from their Apple iPhone, Android-powered phones, surfacing the business’ Place Page right from their handhelds. Local mobile search and advertising are the keys to Google buying Yelp. If Google can get Yelp, it will have a treasure trove of local information with which it can pair contextual mobile ads. A user walking around a city with his Apple iPhone or Android device could feel his phone vibrate. He would check the phone and see shopping alerts from Google/Yelp, which might also offer them coupons from retailers. Imagine two-for-one offers from clothing stores, a free cup of coffee offer as one passes the local Starbucks, or a 10 percent off coupon from a nearby Indian restaurant. With Yelp data powering Google Maps Place Pages on Android phones, the ad possibilities are endless. Adam Bunn, of U.K. search marketers Greenlight, said such a deal would give Google fresh local search results without the need to go through the usual crawling and indexing process and sending searchers to another site. This points to the huge potential for Google to sell targeted ads. Interestingly, Bunn said Google seems to be taking a page out of a competitor’s playbook, and it’s not local search power Yahoo. If Google does bid for Yelp, it would be Google’s seventh of 2009, preceded by On2 Technologies, ReCaptcha, AdMob, Gizmo5, Teracent and AppJet, all since August. Moreover, Google is also rumored to be eyeing real-estate search provider Trulia. These deals underscore how Google is well positioned to maintain and extend its lengthy search, ad and Web services lead into 2010. Previous: Dark Matter Detected for First Time?